In her article, “Public Engagement and the Art of Nanotechnology,” Kathryn D. de Ridder-Vignone approaches art exhibitions that attempt to bring nanotechnology to the accessible forefront. Using art chiefly as a platform of accessibility is in itself an interesting notion, and the supposed fusing of science and art in order to engage with publics and envision different technological futures is furthermore intriguing. Though de Ridder-Vignone does not go too near to the definitions/ parameters for what makes art, she nonetheless discusses the public expectations around institutional art space when science “performs” as art. Nothing particularly risky is happening with nanotechnology and manipulation in the artwork de Ridder-Vignone discusses, and this is perhaps exactly the point. It would seem that the scientists/ artists creating this work are attempting to make nanotechnology into aesthetic material and/ or art play, in order to make approachable a science that can be puzzling in its complexity and troubling in its ethical ramifications. The aim of de Ridder-Vignone’s piece does not seem to be assessing how well art can convey nanotechnology’s intricacy, or the subversive possibilities of an art/ science synthesis, but instead the potential science has to engage its public under the guise of art. de Ridder-Vignone examines three different art exhibitions. While this article is hinged on public engagement with artwork, only one of these exhibitions is an interactive work. Herein, two artists have made nanotechnology into whole body play in a children’s gallery. The latter two exhibitions considered are both examples of competitions where contestants, mainly scientists acting as artists, submit digital prints of manipulated or non-manipulated images of nanomaterials. These materials appear as abstract, aesthetically pleasing shapes, or as other recognizable objects such as sunflowers. While it is somewhat remarkable to see nanomaterials blown up and made glossy and accessible, or distorted into images of a woman or the night sky, that is perhaps as far as it goes. 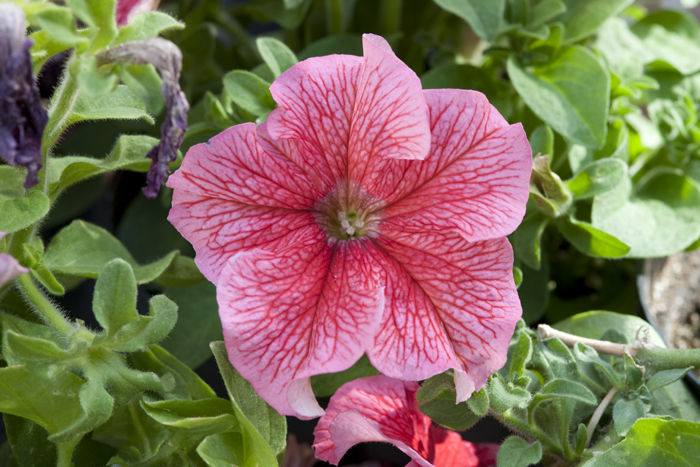 There seems to be no deeper artistic depth to this particular union of art and science. de Ridder-Vignone acknowledges this possibility, reminding the reader that these are not artists, but scientists, and stating, “it is significant that scientists in the MRS believe that to represent science for nonscientific audiences, science must perform as art- or as what they believe to be art” (435). Scientists are using art’s dimensions; most importantly they are using the public’s preconceived notions of a gallery or museum experience to shape their intake of scientific information. In this case, science seems to be using art to inform their own public, but what happens when the reverse occurs? de Ridder-Vignone’s campaign seems to be, in the end, for science education and the public’s potential to “shape” future technologies through participation with art objects in an institution (437). Her examples support her hypothesis that science can perform as art in order to engage the public with technology. Pointedly, this does not indicate a proper fusion of art and science, rather an act that is put on by science. This implies a public engagement with a user-friendly science, through an art lens. The role of art itself gets muddled here. de Ridder-Vignone’s artists make nanotechnology simple and visible, smoothing over its ethical intricacies and crafting instead something accessible (and placating?). It is interesting, in this case, to look at more subversive and direct fusions of art and science, and consider how artists that bring science’s controversy to the forefront instead of mask it engage with their public. de Ridder-Vignone claims that the public participation in her examples, interactive in the first exhibition, directly competing and submitting work in the latter two, allows for a public shaping of what nanotechnology can become. It seems in her estimation, artists are some faction of the public. Also, de Ridder-Vignone asserts that nano-artists are helping shape the identity of nanotechnology, by supposedly appealing to an art public (a general public?). The optimism here is that art, with its public, can manipulate futures. One can consider the following artists that use science, and wonder whether their public could help shape technological futures (perhaps even through adverse reactions), or whether it is the artist alone doing the shaping. Are they the public, as in the competitors in de Ridder-Vignone’s nanoart competitions? Furthermore, if the aim is to help the public engage with science and art, which is more communicative, work that glosses over science’s more controversial points, or work that uses them? 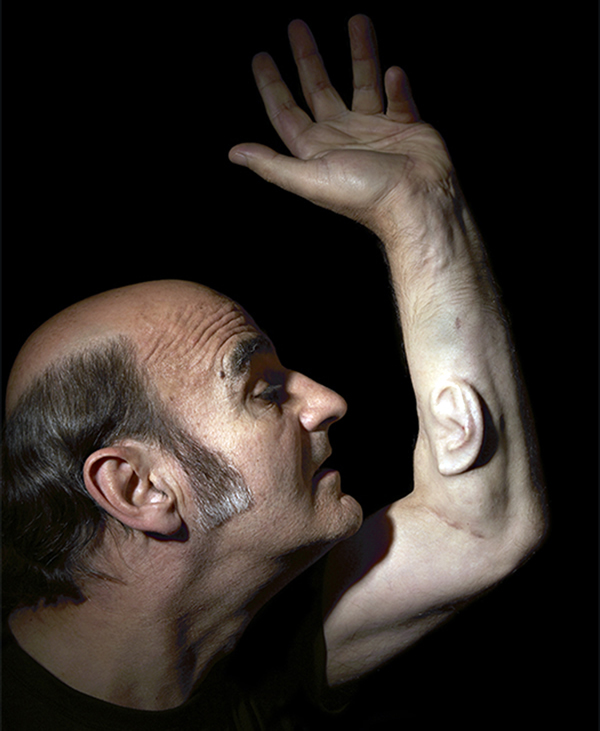 Australian artist Stelarc has attached a “soft prosthetic” ear to his arm. The artists have used biodegradable polymers, then seeded with living cells to create dolls that are “alive,” which one can tell their worries to, as in the traditional Guatemalan worry doll.